"Antarctica as a continent does not exist except in the Wilmore model." FE'ers, if there is no Antarctica, where do penguins live in nature? Also, I would like to know how many of you believe Antarctica exists because I have more questions. If you can provide a map of the version of the FE you believe in, that would be very appreciated. Re: "Antarctica as a continent does not exist except in the Wilmore model." I like what you did with your username. Have you tried lurking moar? Lol thats quite a common comment against logical thinking here. They don't like having to do any critical thinking, so just responding with that is their attempt at getting off the hook. How dare you have the audacity to demand my deposition. I've never even heard of you. It's also a common comment against common misconceptions about FET. Hint: FE'ers believing that Antarctica does not exist is one of them. First it's Australia, now it's Antarctica, and tomorrow it will be Alaska and then Canada. Hell, I propose the deletion of South America too!. FE T-shirts = Profit = conspiracy = ideological cult in the making = teaching stupid = paranoia = nut case. Any questions? I didn't get any real feedback, but whatever. So they DO believe in Antarctica? But it says on the wiki only Wilmore's model includes it . Anyway, according to any of the FE maps out there if there is land in the FE version of South, it would allways be night there, right? The sun never goes far out enough to shine on the southern lands. It can't shine that far either, because then the northern hemisphere would would have significantly longer days than the southern. Australia would only get a few hours of sunlight when the entire Europe would have let's say 20hrs sunlight per day. If you can provide a map of the version of the FE you believe in, that would be very appreciated. They didn't, so I had to use what I found myself. What you found was wrong, which is why you need to lurk moar. Please ignore Parsifal. a troll, and a bad one. He can't even troll accurately. You did want you should have done. Put a stake in the ground and let the FEers defend themselves. There can't be an FE map because the real world surface of the Earth won't fit on an FE and match the distances and areas required. So rather than face the music that RE is right, they hide behind the "in hundreds of years we haven't had time to determine where the continents are or their size" excuse. Really creative FE trolls will even ask you for money, as part of a scam perhaps, so that they can go map the FE world. Most FE models do include Antarctica, however the nature of Antarctica is sometimes debated. The traditional UN type map shows Antarctica as what is often referred to as the "rim continent". Whether this rim continent extends a finite or infinite distance is also a topic of debate among FE researchers. Stop all this nonesense and bring on the lapdancers. I understand Jack1704. It's a Brit thing. No FE'ers hold this map to be 100% accurate. Is there one that is 100% accurate? 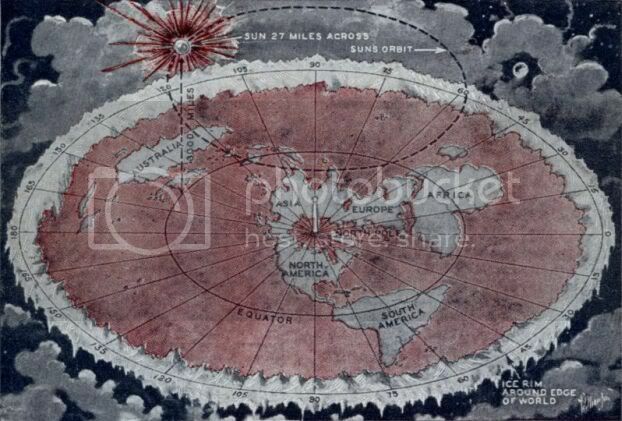 No 100% accurate Flat Earth map exists. Therein lies the problem. Which is the most accepted map? First I need to see a 100% accurate Round Earth map. I don't remember anything. Well, I do, but it's really vague. Like I was on drugs the whole time. Why would you need something from a theory that you consider to be false? And tell us where the existing RE maps are inaccurate. Fun game, can I play too? I'll play "Red Rock, NSW, Australia"
Well I'm glad RE ers can name inaccurate locations on a RE map as well! Elaborate please. How is this Green lake mapped wrong in RE maps wrt to reality, and how are FE maps more accurate? What does the "100% accurate" mean? Can anyone describe the "100% accurate" map? Try a globe. They're commonly accepted as an accurate representation of what the round Earth looks like. I actually have one right here in my room. It even shows all the sea currents and geographical patterns on the entire planet. Interesting, isn't it?